If you'd like the date in the eyeholes as in the photo, just let us know! 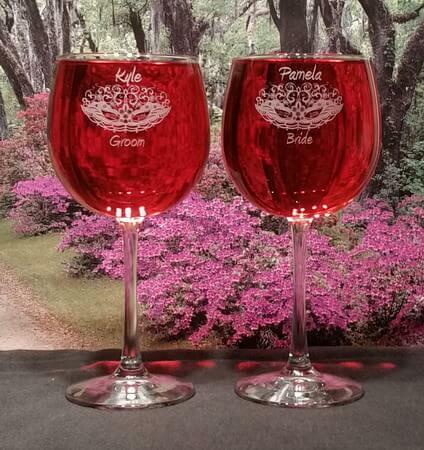 Fantasy Glassworks personalized Vina Balloon Wine Glass is another of our "over-sized" wine glasses which is a popular trend right now in glassware. The top of the personalized Vina Balloon Wine Glass is very large and leads to the stem which is very thin, and finally it ends into a wide pedestal bottom. 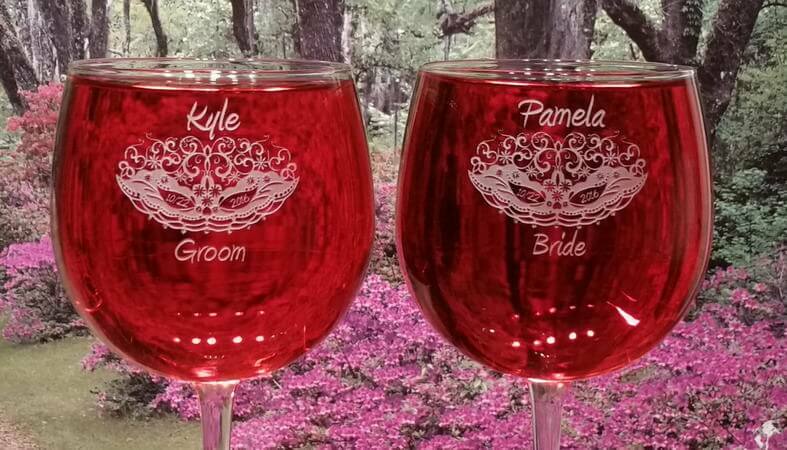 Fantasy Glassworks personalized Vina Balloon Wine Glass is engraved to your specifications whether you want text, a company logo, or a piece of artwork that you created yourself. The Vina Balloon Wine Glass is deeply engraved which means it is permanent and will not wash off as in screen printing. All personalized Vina Balloon Wine Glass are engraved in house by Fantasy Glassworks and are manufactured by Libbey Glassware.